The 16th International Handbell Symposium heads to Jeju, Korea, August 5-9, 2014. The event rotates its location among the seven members of the International Handbell Committee which include Handbell Musicians of America, Handbell Ringers of Japan, Handbell Ringers of Great Britain, Korean Handbell Association, Handbell Guilds of Canada, Handbell Society of Australasia, and the Handbell Association of Hong Kong. The deadline for registration is December 31, 2013. A non-refundable deposit of $300 is required with registration. Final payments are due March 1, 2014. To register, download and complete the appropriate registration form for the options below. Return completed forms with payment. 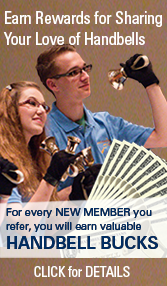 We accept Visa, MasterCard or checks (made payable to Handbell Musicians of America). During the International Symposium, KHA will offer a special program for young ringers. 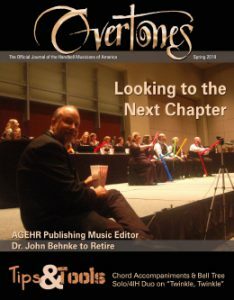 Through this program, KHA is striving to open opportunities for you to participate with the adult ringers in a variety of activities including workshops, solo concerts, and massed ringing. The objective for the youth-oriented program is to encourage youth to gain confidence in and to come to love handbells as they participate in enriching experiences and events that adult ringers enjoy. This program is designed for beginning youth under 18 years of age. As with past events, KHA will offer a Symposium Choir opportunity. Those participating in the Symposium Choir may not participate in workshops. The Symposium Choir will perform on the final concert. Registration is limited to 45 participants. Tickets for non-registrants are available for the final concert and banquet at a cost of $48/each. Please make your request for additional tickets on your registration form. All participating choirs have the option of performing a piece on one of several Solo Concerts presented throughout the event. A separate application is required. KHA will set the schedule after the registration deadline. KHA requests that pieces considered for the Solo Concert be no more than 5 minutes in length. If you are interested in performing on one of the solo concerts. Download and complete the application below and return it to Vickie Iverson (viverson@handbellmusicians.org) in the national office. Each participant will receive an International Symposium t-shirt as part of their registration. Please refer to the size chart below before completing your registration to select the correct size for you. Foam must be obtained from the event organizers because of fire safety requirements. It is available for purchase at the cost of $13 per piece (75cm x 60cm). Each table provided by KHA will require 3 pieces of foam at this size. You have the option of taking your foam home with you after the event or leaving it behind. Please order foam on the registration form. Yongmeori Beach is a place where Mount Sanbangsan stretches into the ocean. It is said to resemble a dragon heading underwater. This area is made of Sa-am stacks, built up over thousands of years. There are chamber-shaped “Gulbangs” with layers of rocks stacked up along the cliff walls. Along the road down to the seashore is the Hamel Castaway Memorial in remembrance of Dutch crewman Hendrik Hamel who drifted to this place in 1653. Just off to the right of the beach is a soft and dark sandy beach. You can meet the women sea-divers of Jeju selling their catches such as sea cucumbers, top shells, and abalones. People have enjoyed tea for over 5,000 years. Chusa Kim Jeong-hee developed tea culture while he was in exile in Jeju by growing tea trees and enjoying tea with other scholars who loved tea and left a many masterpieces. Jeju Island has the perfect climate to cultivate best quality tea. Osulloc was built at the enterance of the Seogwang Tea Farm owned by the Sulloc Tea Company. 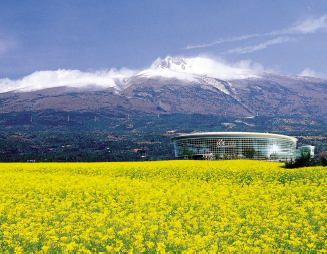 It has served as a place of culture balanced with tradition, modernity, and nature-friendly relaxation. It will also help you to understand traditional Korean tea culture while enjoying a variety of green teas. A garden starts from a farmer’s small thoughts. Since 1968, Spirited Garden director, Seong Bum-Young, has cut rocks, made his own oreum, searched for trees all over the country and planted them here. You will be able to see what a long way one man’s tenacity and effort can go. The crater of Sungsan Sunrise Peak located at the tip of the eastern shor of Jeju Island, consists of 99 rock columns along its rim as if providing a castle-like wall around the bowl-shaped crater. For that reason, the basin was considered to be holy, and was names “Sungsan”, meaning Holy Mountain. The view of the sunrise from here is truly breathtaking. Jeju Folk Village Museum exhibits a comprehensive collection of traditional folk articles from the island, which were mostly prevalent around the 1890’s. More than 100 traditional houses were moved from their original locations where the islanders had actually resided – even along with a piece of stone and pole. It is expected that great attention and wholehearted support will be paid to the center for culture. Jeju Folk Village, where the island’s cultures have been kept alive and species of native trees and flowers can be seen. The island was named “Udo” or “Cow Island” as its contours look like a cow lying down on the ground. Here are 8 scenic wonders of Udo: day and night, sky and earth, front and back, and east and west. The movies “In October” and “The Mermaid” were shot at Cow Island, capitalizing on its picturesque scene of a fishing village and a lush, peaceful grassy field. The white sand beach facing the indigo and turquoise sea of Jeju is very impressive. It represents another eye-catcher along with Mount Halla in Jeju. Please contact Vickie Iverson, our event registrar, for more information. The options listed below can be arranged upon arrival in Jeju. No advanced reservations are required. Departs CJU every hour between 06:00 and 22:00 at approximately 20 minutes after the hour.